Maddie joins Aspiring Solicitors as our Brand and Marketing Executive. Maddie studied law at the University of Sussex and completed a legal and compliance placement year at GE Healthcare for the third year of her degree. Since graduating in 2017, Maddie has worked in the digital marketing team at Bright Network and the global marketing team at Lawyers On Demand (LOD). 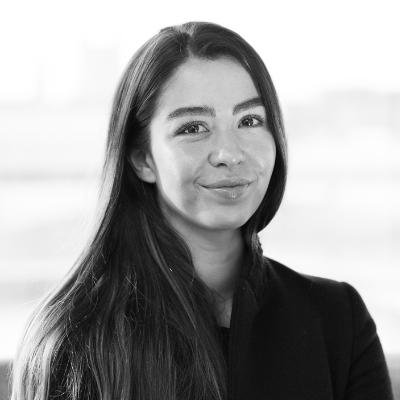 Throughout university, Maddie attended a number of Aspiring Solicitors’ open days, was a Campus Ambassador and participated in the Commercial Awareness Competition and Barclays Mentoring Scheme. Having attended a state school and a Non-Russell Group university, Maddie is the first person in her family with aspirations of pursuing a career in law. She strongly supports Aspiring Solicitors’ ethos and wants to contribute to increasing diversity in the legal profession.